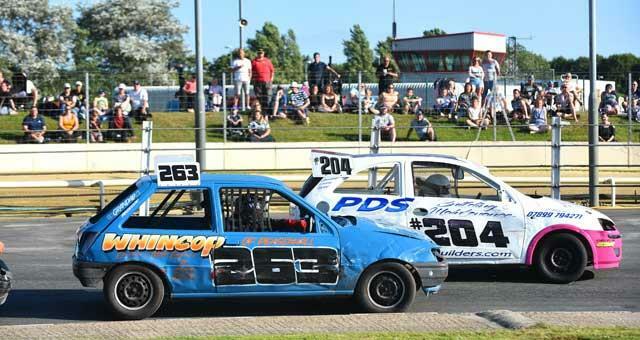 Come and enjoy the thrill of motor racing at Great Yarmouth Stadium, in conjunction with Spedeworth International Motor Racing. We have three Raceview Bars, a Raceview Diner serving the best in bar food, a ground floor snack bar & amusement area, plus a fourth separate licensed bar so you can be sure to enjoy the racing while relaxing in a great atmosphere. Racing takes place on selected Sundays between April and June and regularly over summer. During the summer season additional racing takes place on Wednesday evenings. Covered grandstand seating, four raceview bars, raceview restaurant and diner. On the main A149 Caister On Sea road into Great Yarmouth or two miles from main A47 Acle Straight. Bus stops outside main entrance. Parking is free for greyhound racing and a small charge applies for stock car events.